SUFFOLK, Virginia & VANCOUVER, British Columbia – A pilot project at the Hampton Roads Sanitation District’s (HRSD) Nansemond wastewater treatment plant in Suffolk, Virginia, has successfully completed trials of a new technology that removes phosphorus and other polluting nutrients from sewage sludge and recycles them into environmentally-safe commercial fertilizer. 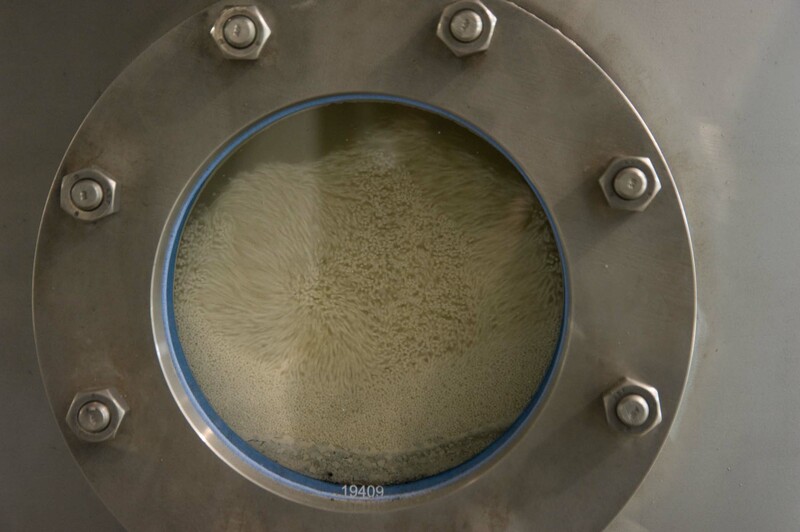 The technology was developed by Ostara Nutrient Recovery Technologies Inc., of Vancouver, British Columbia, and helps wastewater treatment systems solve environmental problems, increase plant capacity, and reduce maintenance costs, while also creating a revenue-producing by-product. An Ostara pilot facility was operated at the HRSD’s Nansemond advanced biological nutrient removal wastewater treatment plant located on the Chesapeake Bay, from October 2006 to March 2007. Bill Balzer, the Nansemond Treatment Plant manager, said the HRSD is now analyzing the Ostara pilot plant results and considering whether to build a full-scale plant using the new technology. “The rate of phosphorus and ammonia recovery was of great interest to us and provides very real operating efficiencies and capacity increases to the plant. We are interested in and are currently reviewing a proposal for a full-scale facility using the new technology from Ostara to be deployed at our Nansemond treatment plant,” said Balzer. Phillip Abrary, President and CEO (2005-2017) of Ostara, said many wastewater treatment plants, such as Nansemond, are effective at removing phosphorus and nitrogen but are left with the problem of handling the nutrients in the recycle stream after anaerobic digestion. Treatment plants typically dewater the digested solids to separate solids from liquids. Solids can be composted or incinerated. Liquids, which contain high levels of nutrients, are typically reprocessed back through the wastewater system, which increases operating cost. In addition, this stream may cause problems by clogging pipes with a concrete like scale called struvite – the result of phosphorus and ammonia (nitrogen) combining with magnesium. More importantly, these recycled nutrients can occupy 25 to 50 per cent of the waste water treatment plant’s nutrient removal capacity. “Our plant integrates into the treatment system, processes the sludge liquid and recovers phosphorus and other nutrients – and then converts them into a high-quality environmentally-friendly commercial fertilizer that can generate revenue for the municipality,” said Abrary. “Ostara’s process is complimentary to what HRSD has been doing and addresses a missing piece in the biological nutrient removal equation. The pilot plant’s results demonstrated a consistent capability to recover more than 85 per cent of the phosphorus and 40 per cent of the ammonia,” said Abrary. Abrary said the first commercial scale plant using his company’s technology will begin operating this month in Edmonton, Alberta, and a pilot project will begin operating this month in Portland, Oregon. As many as 400 municipalities in North America and 500 in Europe are potential customers for the Ostara process. The fertilizer by-product from the Ostara process, named Crystal GreenTM, is the only slow-release fertilizer with a combination of nitrogen, phosphorus and magnesium. Unlike most fertilizers, Crystal GreenTM dissolves slowly over a nine-month period and is, therefore, environmentally safe because it does not leach into the water table. Crystal Green is an ideal product for turf (golf courses) markets, specialty agriculture and other markets that value slow release fertilizers. Since HRSD’s inception in 1940 to eliminate sewage pollution in the tidal waters of the Chesapeake Bay, its one overriding mission has been to protect and enhance the environment through quality wastewater treatment. HRSD’s service area includes 17 cities and counties of southeast Virginia, an area of over 3,100 square miles with a population of 1.6 million. Wastewater flows from municipal piped systems to HRSD’s interceptor system of pipes and pump stations to nine treatment plants with a combined capacity of 231 million gallons per day (MGD). Ostara Nutrient Recovery Technologies Inc., founded in 2005, is a Vancouver-based company commercializing proprietary technologies that recover resources from sewage and recycle them into valuable products. Ostara’s struvite recovery process, developed at the University of British Columbia, recovers pollutants that would otherwise be released into the environment, helps sewage treatment plants reduce operating costs and meet environmental regulations, and provides municipalities with revenue from the sale of the recovered pollutants that are recycled into environmentally-safe slow release fertilizer.